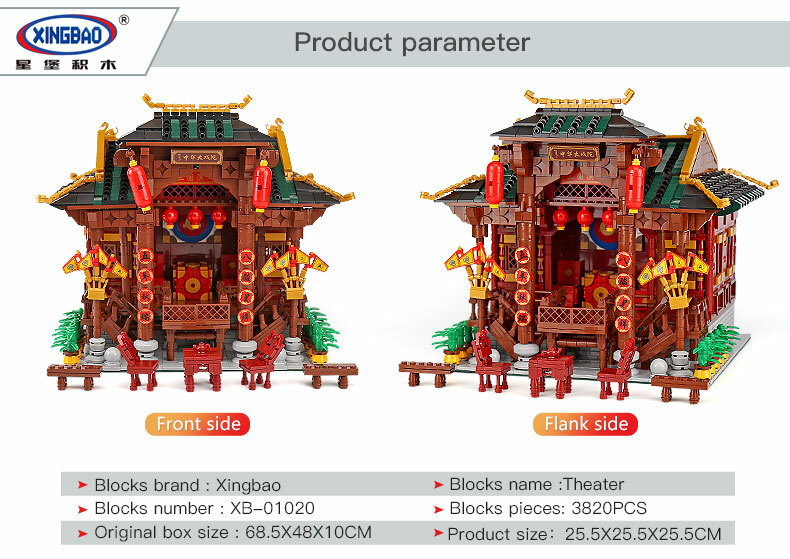 XINGBAO 01020 Chinese Theater is a MOC (My Own Creation) building blocks set which is 100% compatible with all major brands building bricks. 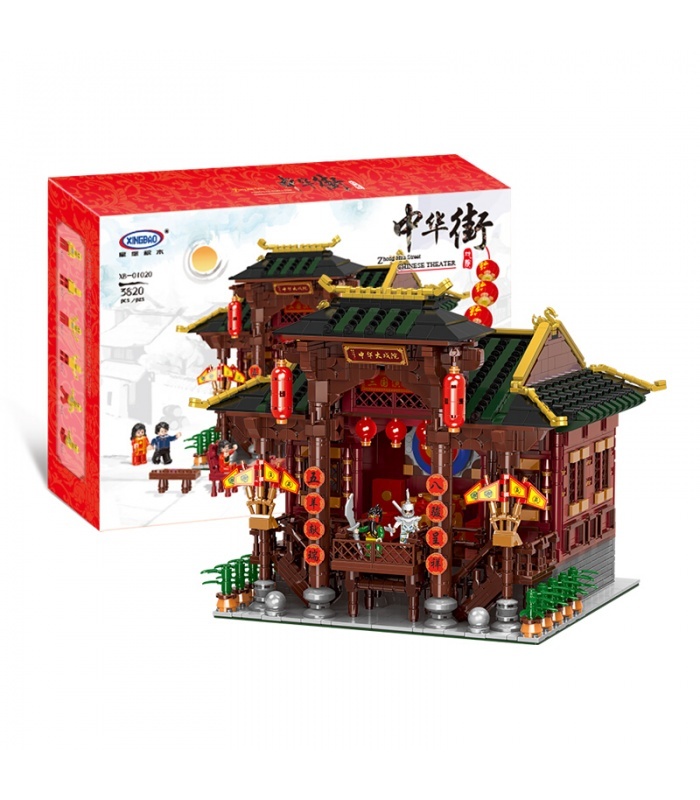 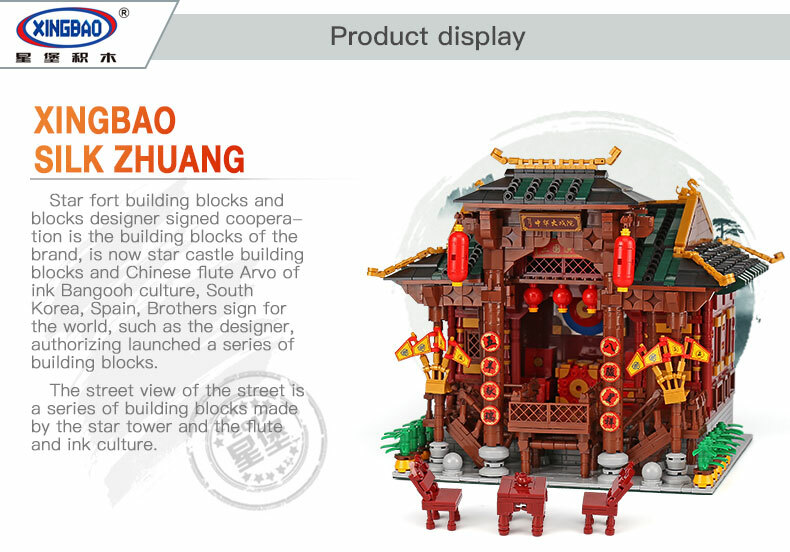 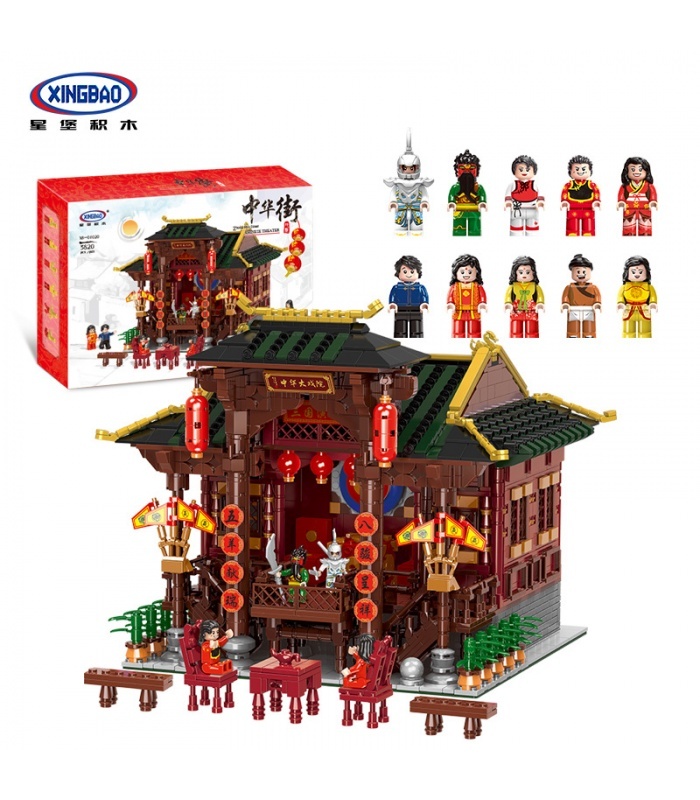 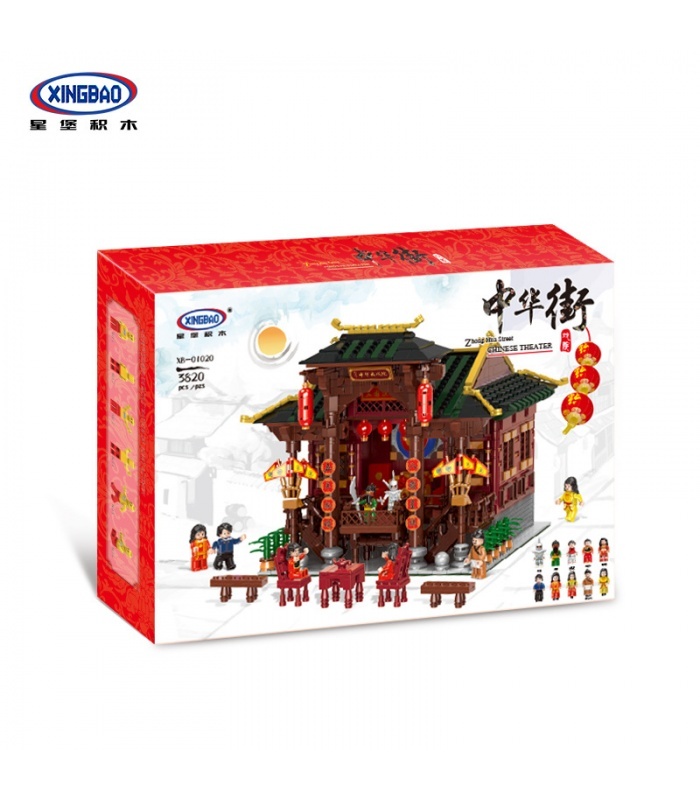 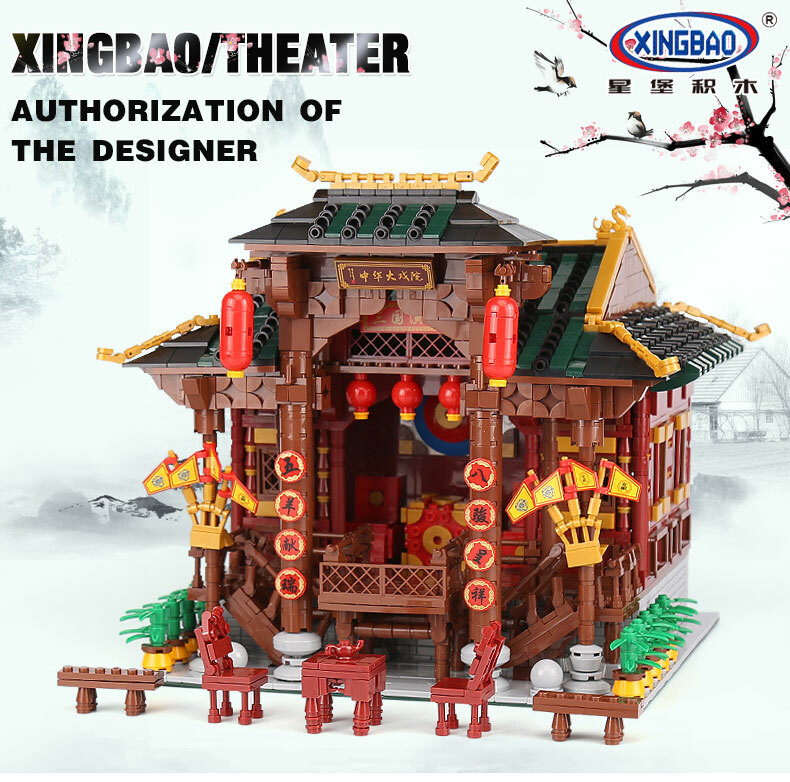 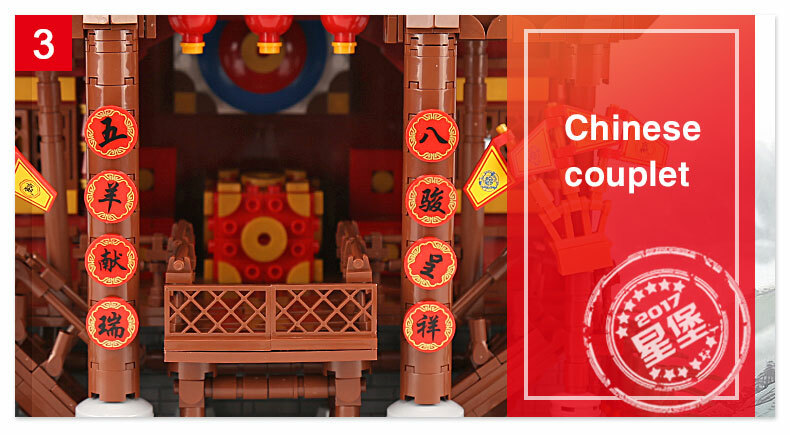 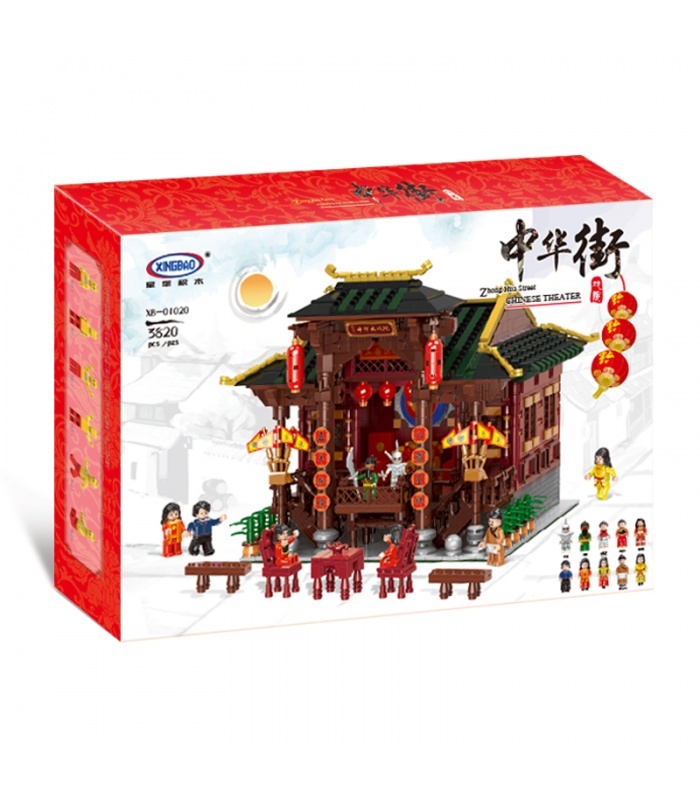 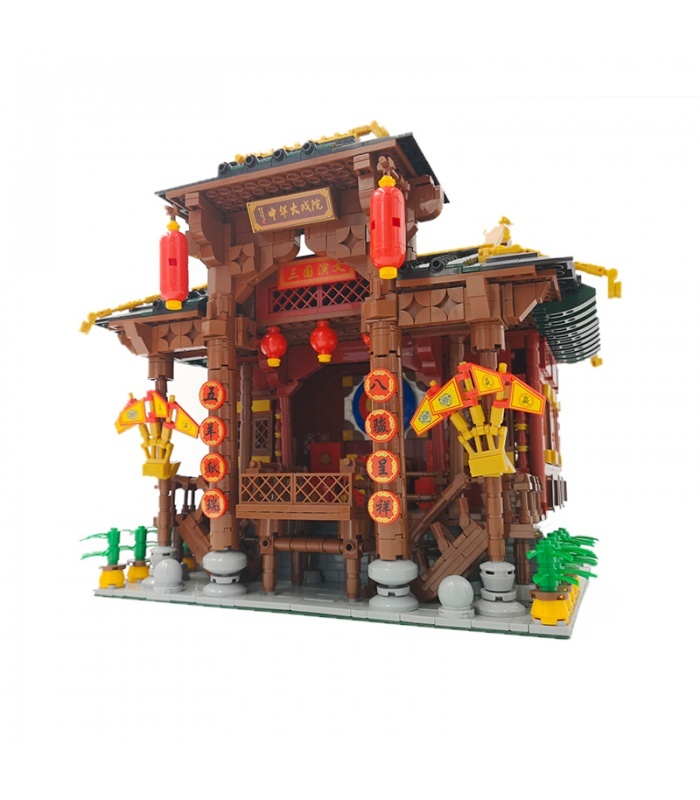 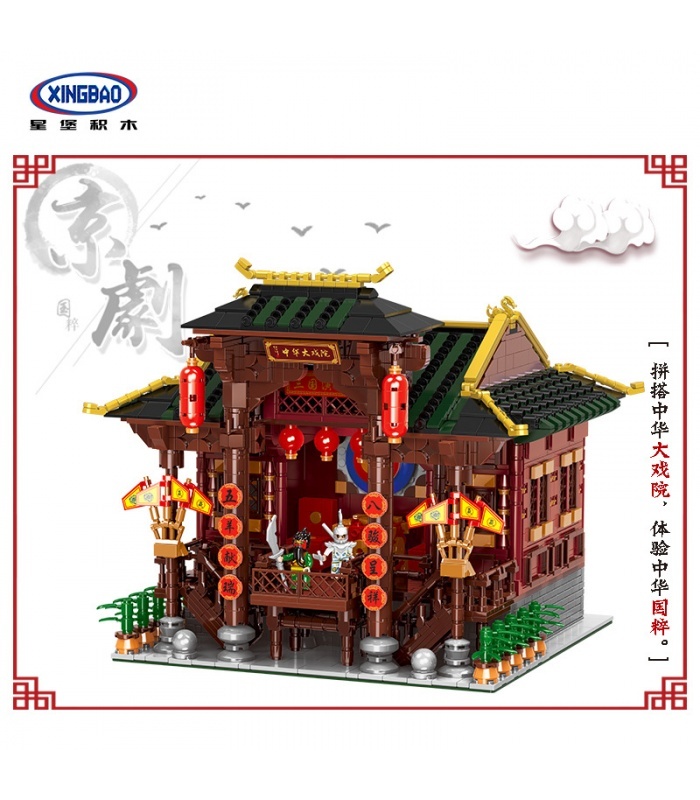 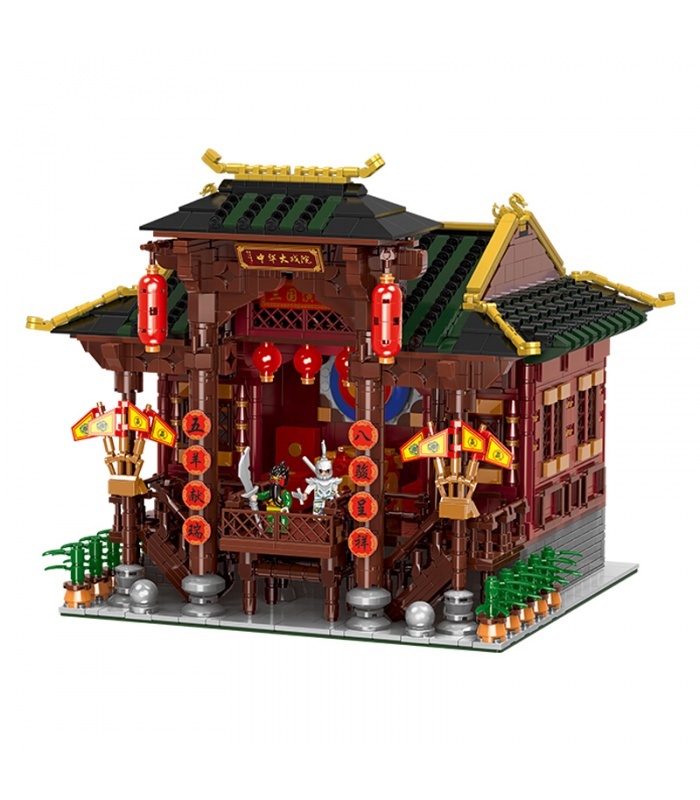 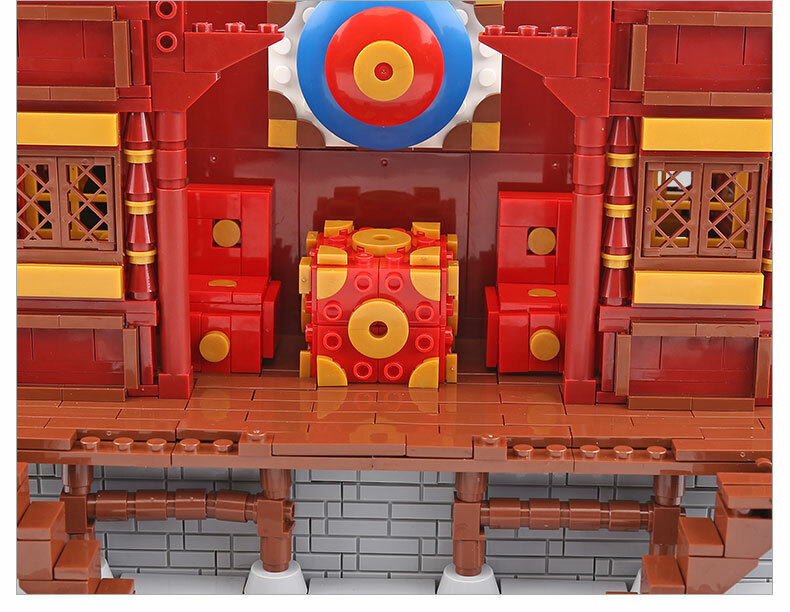 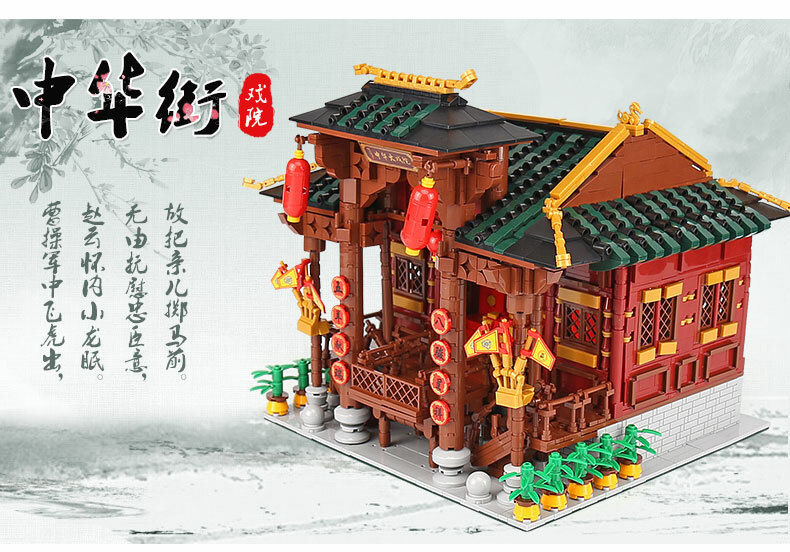 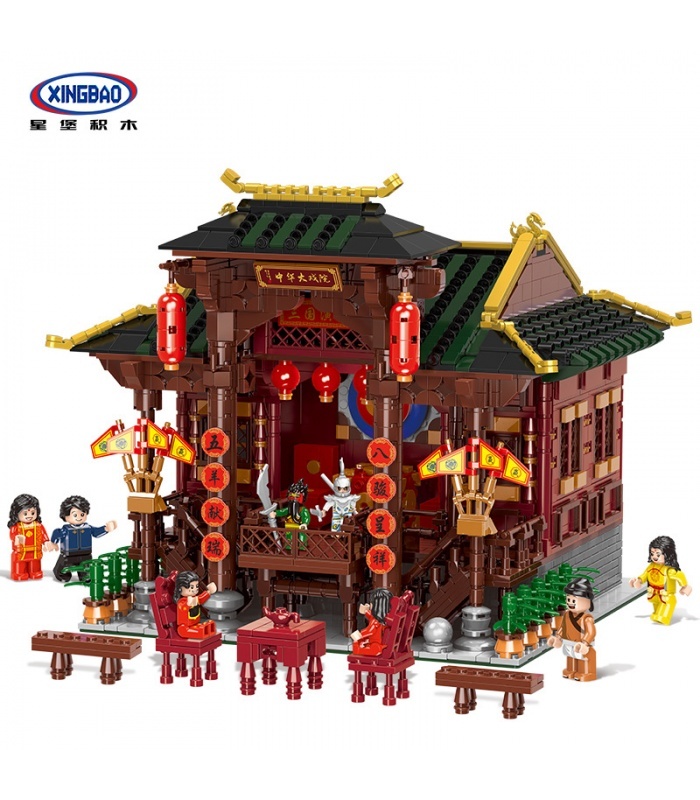 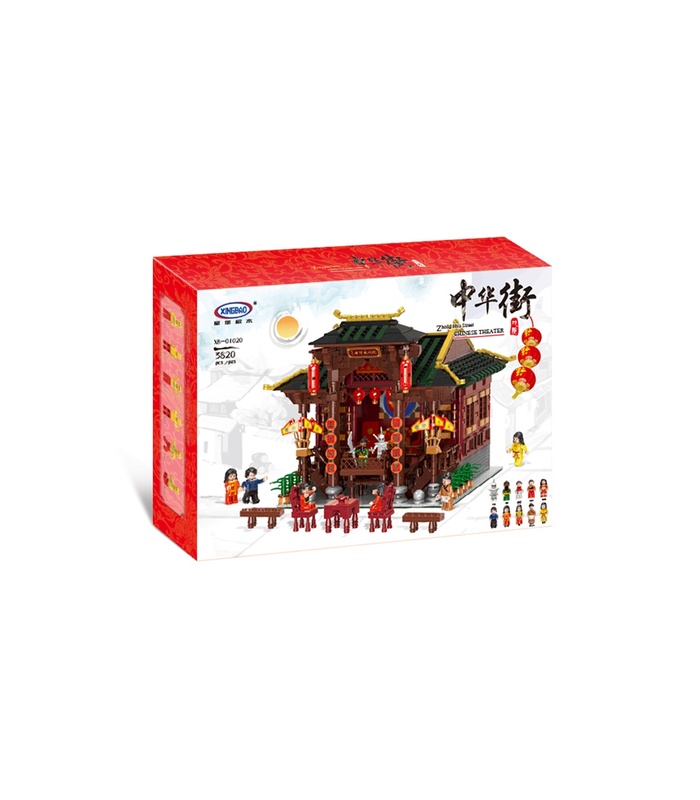 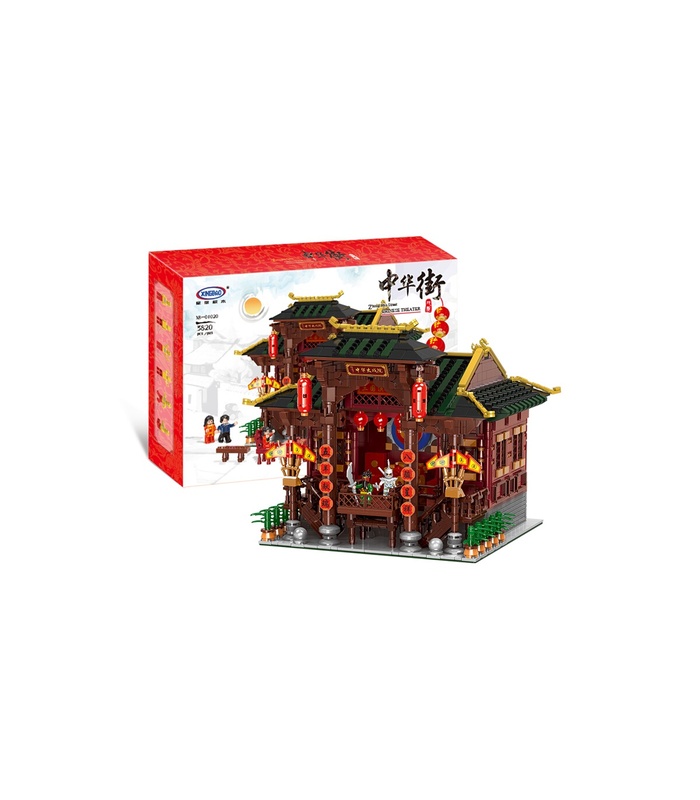 The latest in Xingbao’s Zhong Hua Street Series of authentic Chinese architecture is the Chinese Theatre. 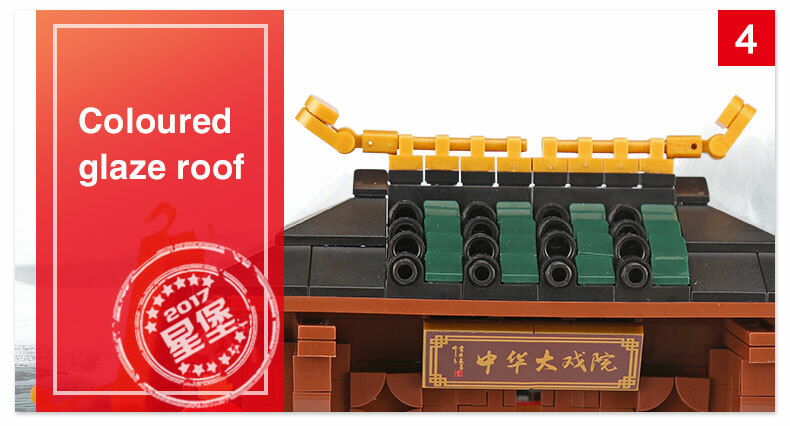 Play out traditional Chinese opera in lavish style! 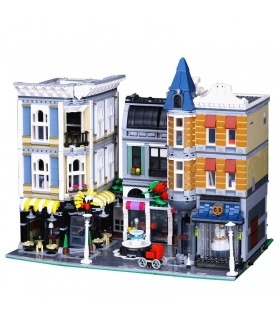 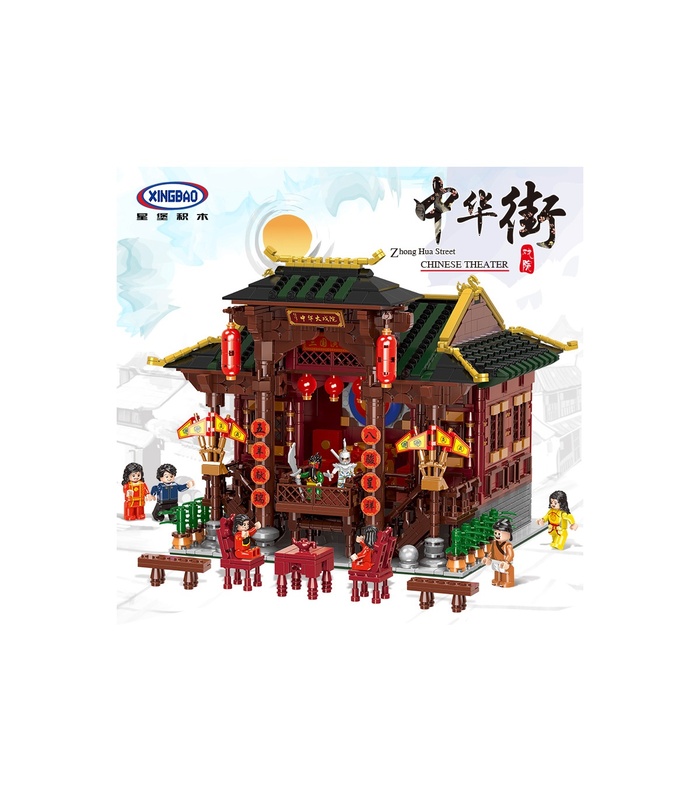 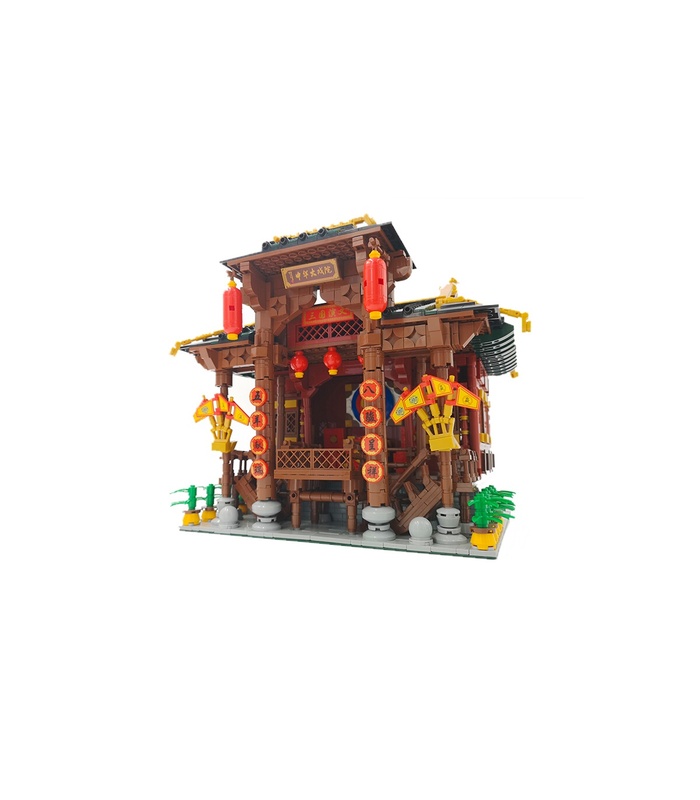 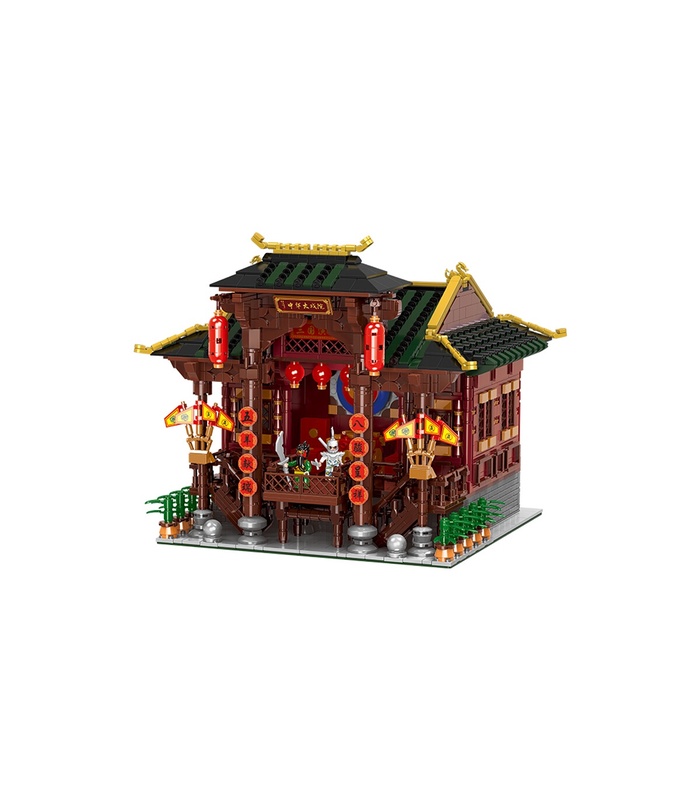 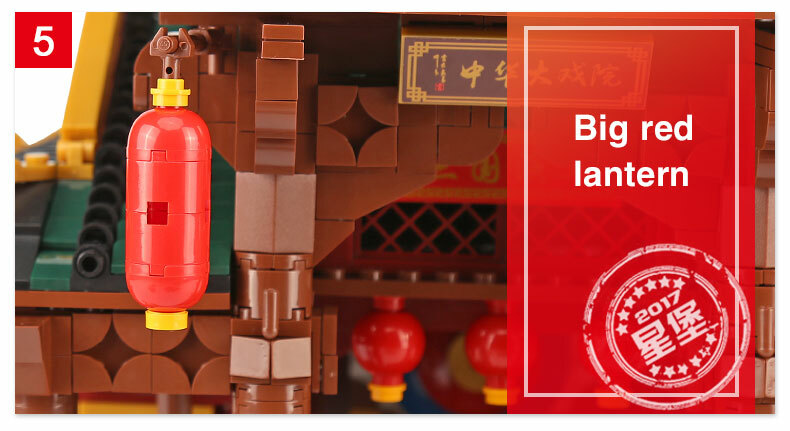 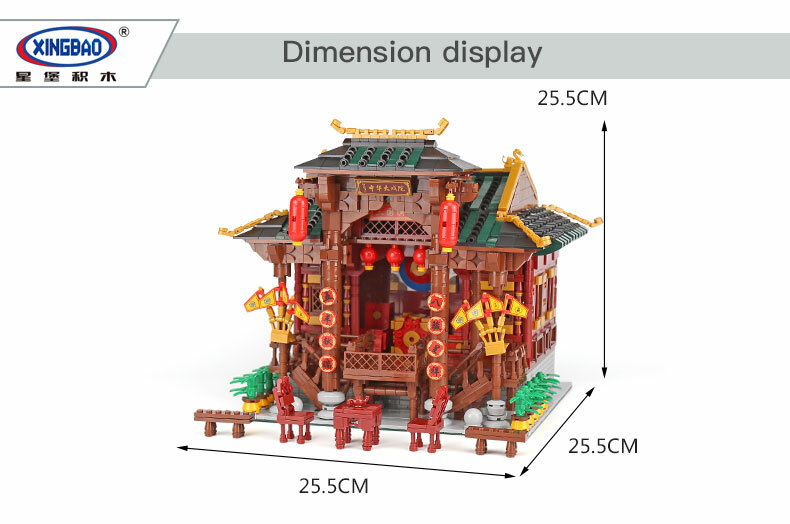 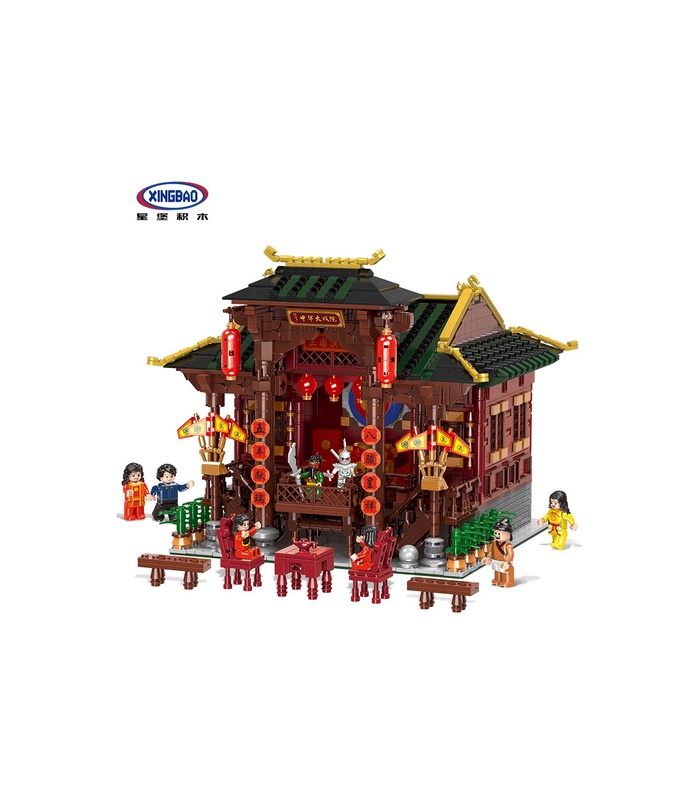 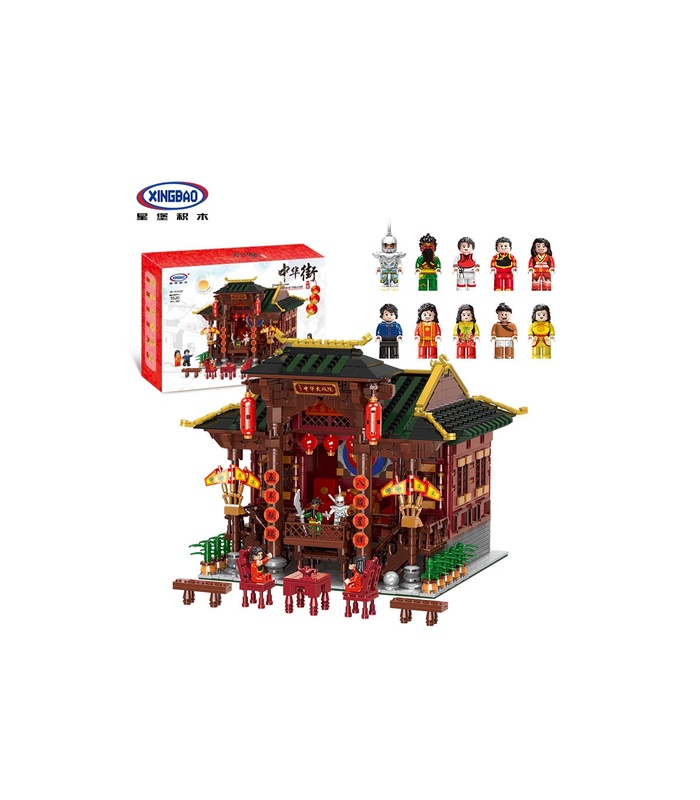 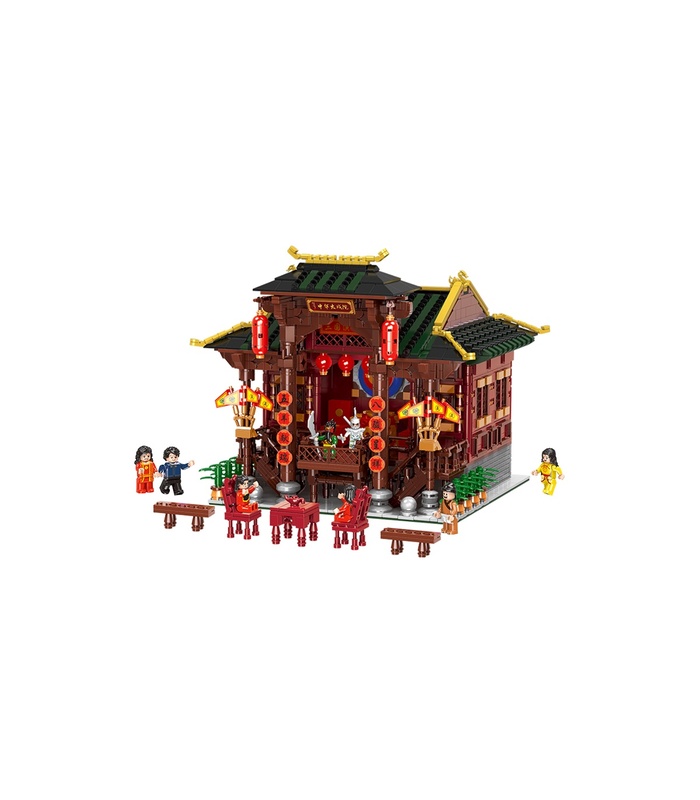 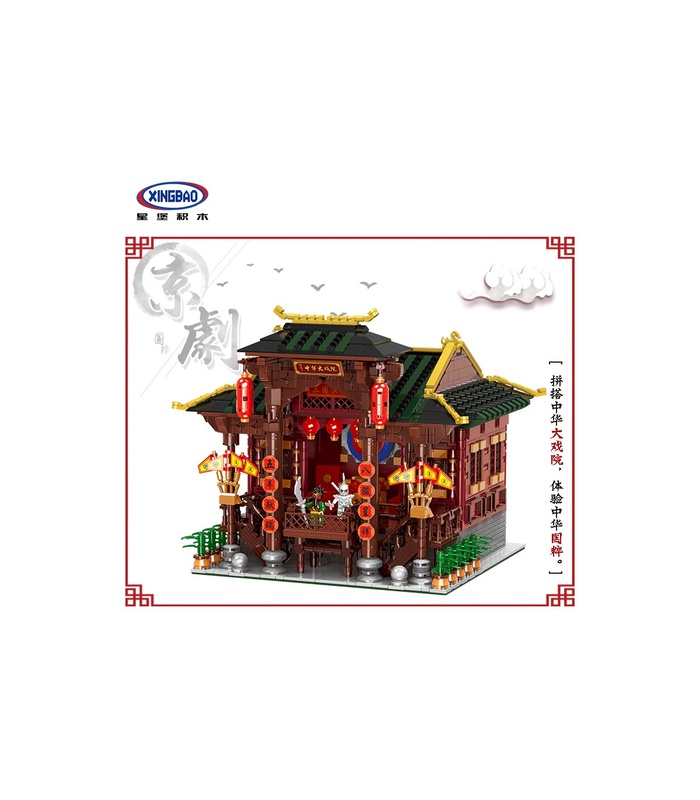 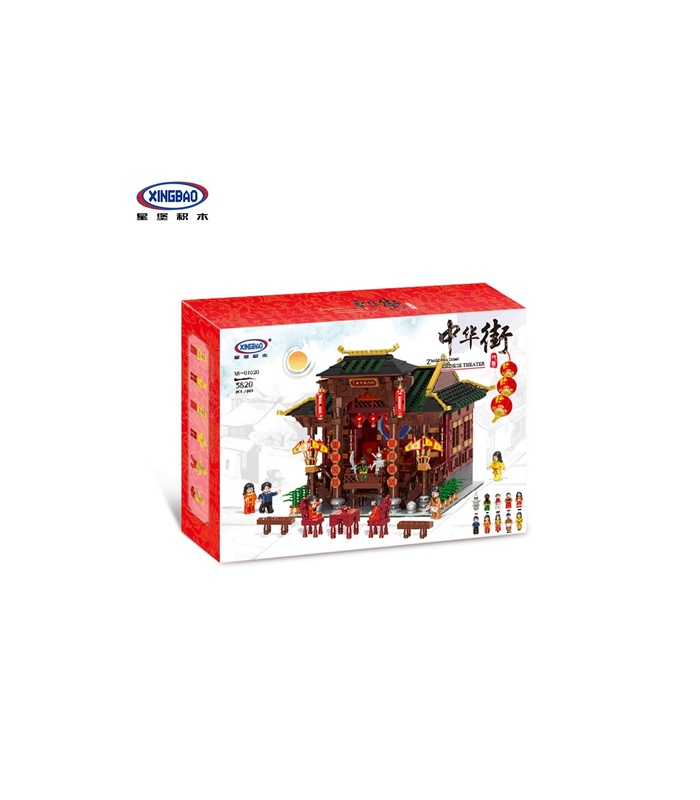 With over 3,800 pieces, this build will make an impressive addition to your Chinese street scene or other modular building layout. 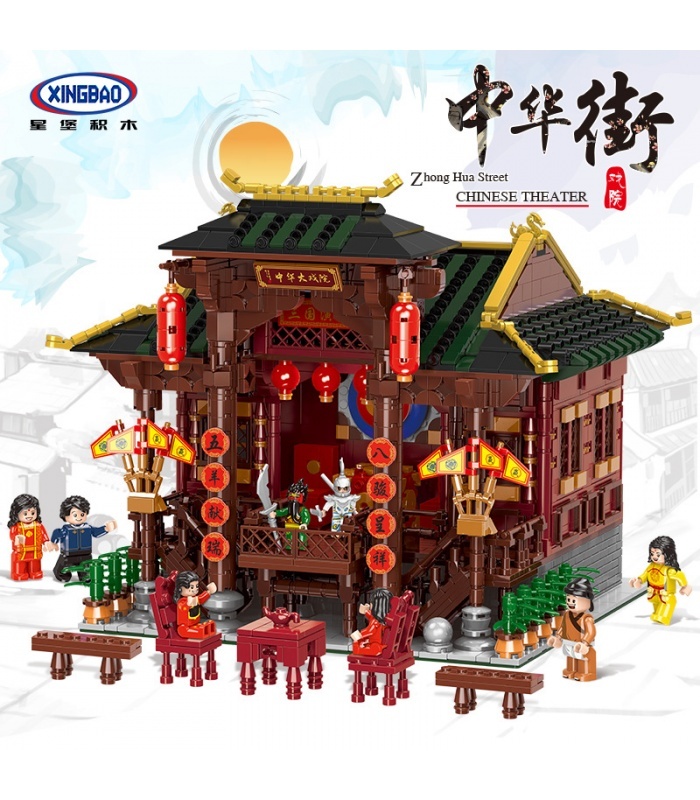 Chinese opera has a long and rich history of performance from the Later Zhao dynasty to the present. 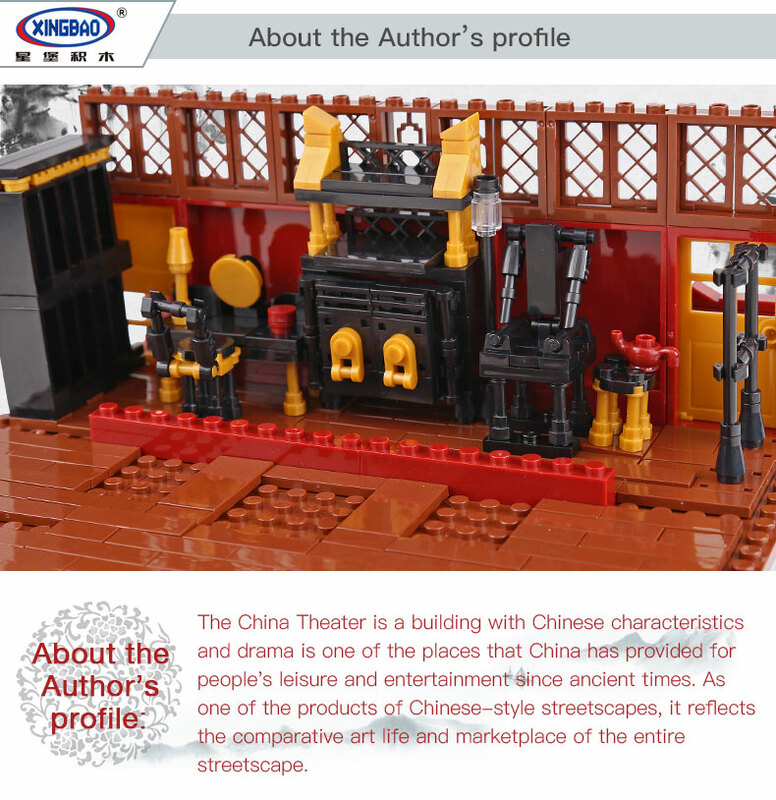 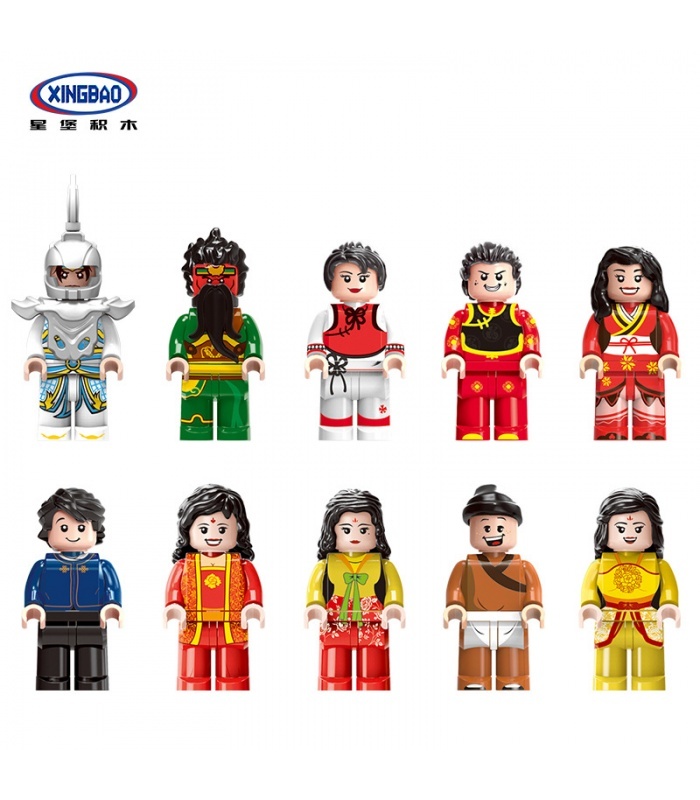 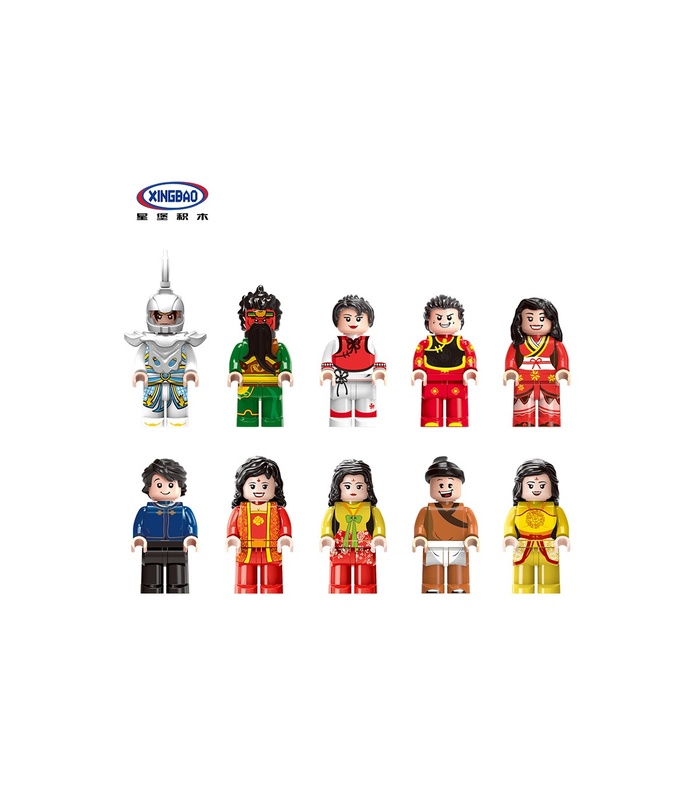 Act out the fourteenth century drama “The Romance of the Three Kingdoms” with the included costumed minifigures before the audience, or any other Chinese drama, new or old. 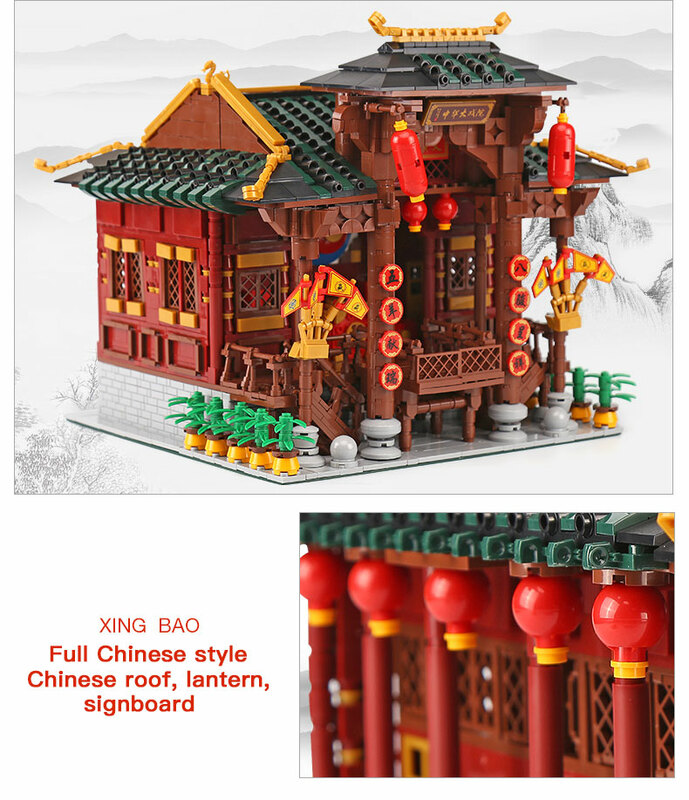 Architecture features include traditional wooden latticed windows, a coloured glazed tiled roof, golden roof accents, and flying eaves. 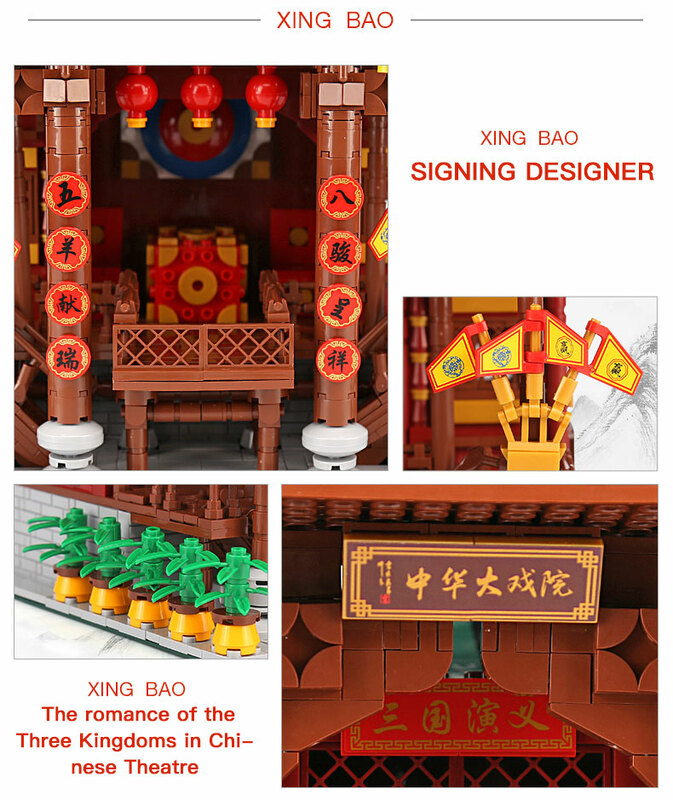 The building’s internal features include a stage, backstage dressing area, many Chinese lanterns, and props, with many signboards inside and outside. 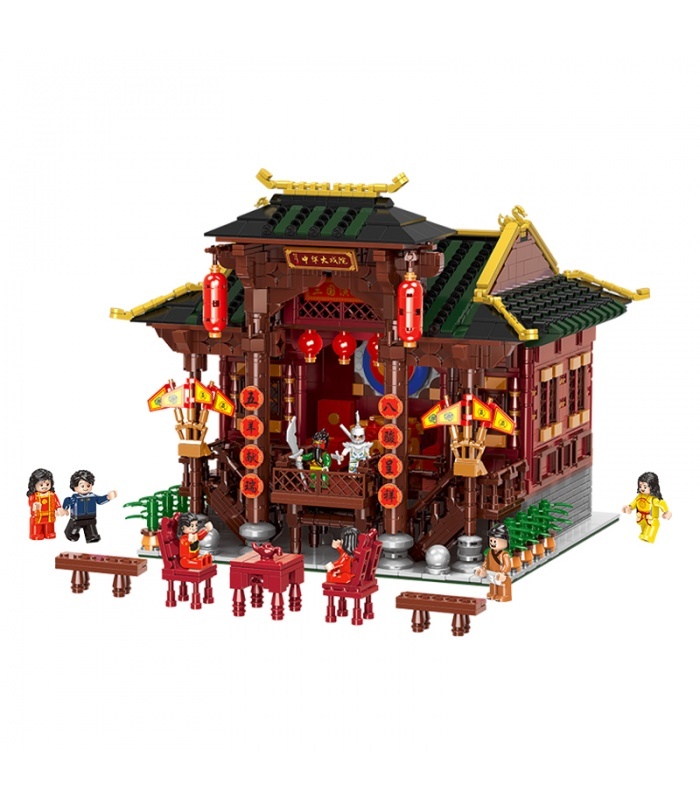 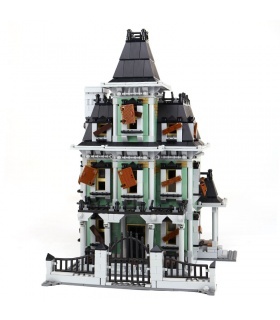 Add some class—and classical styling—to your brick town with the Chinese Theatre today! 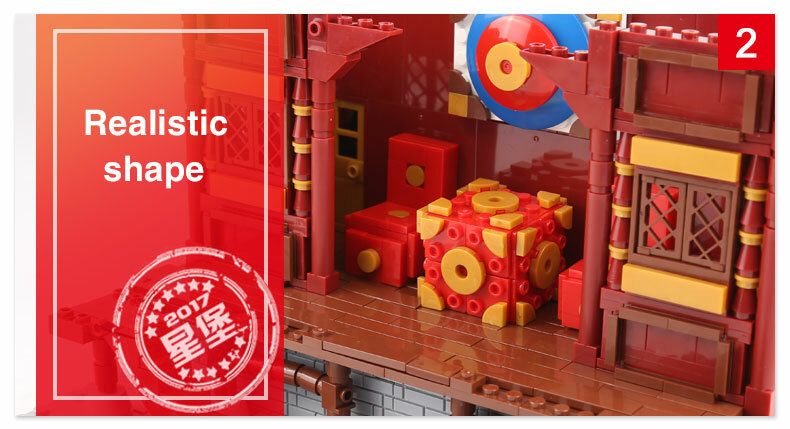 Condition: Brand NewPacking: With Original Retail Box PackageSpecification: Compatible with other brands WARNING:CHOKING HAZARD - Small parts. 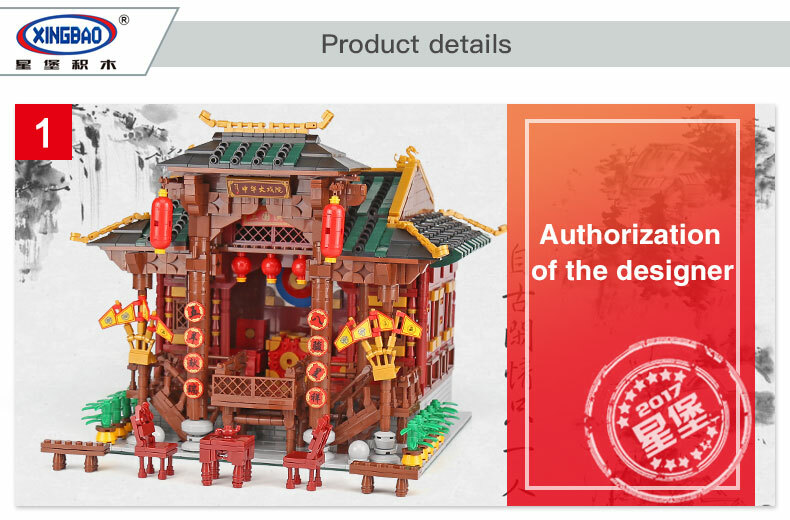 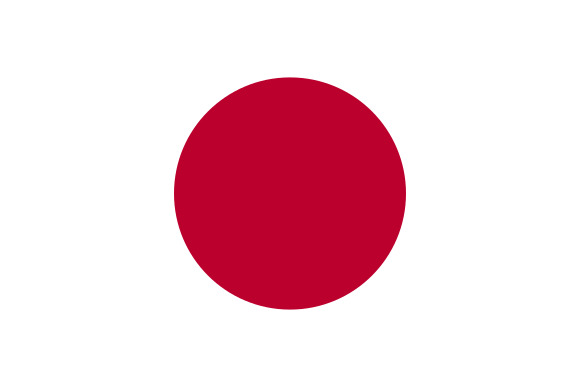 Not for children under 6 years old.